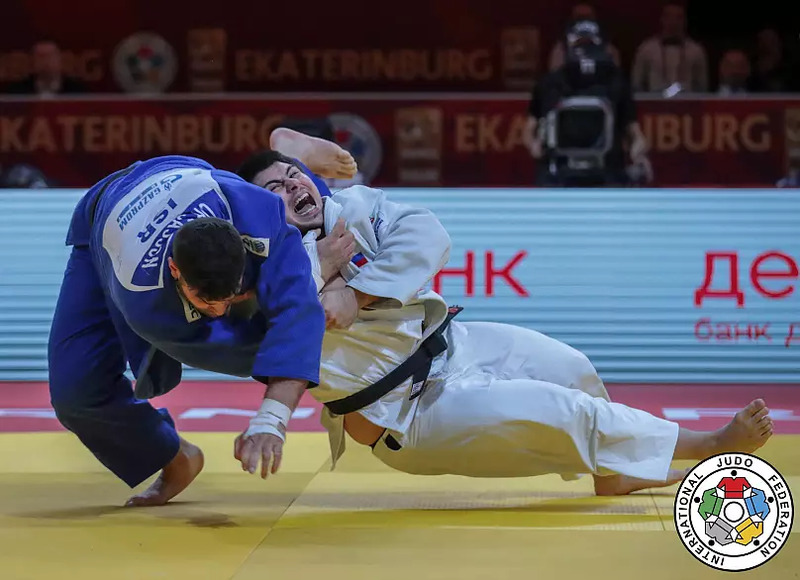 The home crowd were electric on the third and final day of the 2019 Ekaterinburg Grand Slam, and the magnificent judo on display reflected their elation. And no judoka was on fire more than Rome European Open winner Arman Adamian of Russia. Every contest gave the home crowd a massive ippon to cheer about. Laurin Boehler of Austria was caught by his driving kouchi. Next he fought the big thrower Shady Elnahas of Canada, but Adamian countered his infamous and enormous hip throws with a massive ura-nage. In the semi-final Adamian bested Israel’s Peter Paltchik in less than 20 seconds, with another kouchi for ippon. Each time he fired up the crowd more. 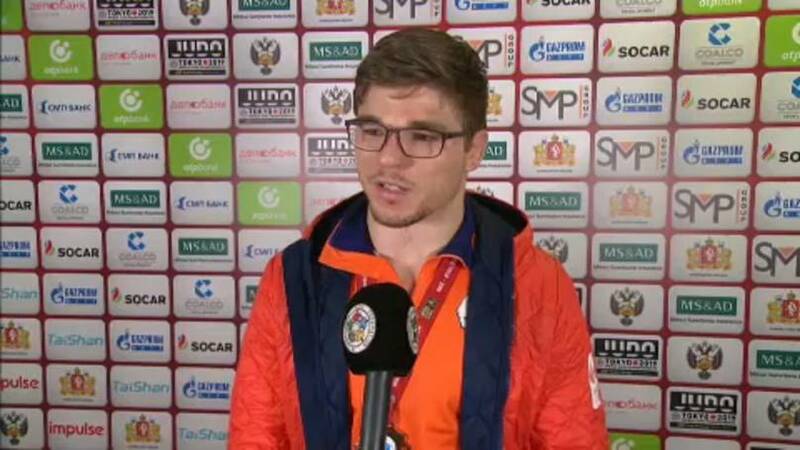 Adamian met another Russian in the -100kg final, his compatriot, famed for his fast feet, Kirill Denisov. But just like he countered Elnahas’s hip throws, here he countered Denisov’s ashi-waza; taking him backwards, winning the crowd, and becoming our Man of the Day. 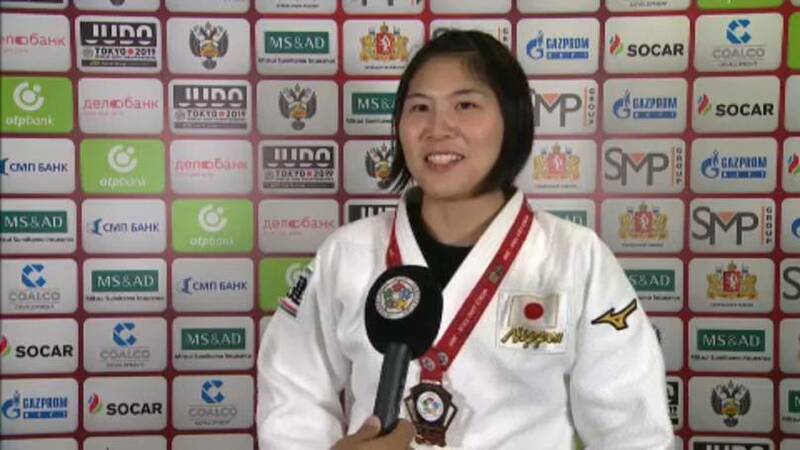 Our Woman of the Day was Mao Izumi of Japan, who won her country’s first gold medal at the Ekaterinburg Grand Slam 2019. Izumi applied a strangle on former World Champion Mayra Aguiar of Brazil in the -78kg final to win the gold medal and take her first Grand Slam title, in her first Grand Slam appearance. "The crowd makes me really nervous but it also makes me powerful when I’m fighting, because I feel they are cheering for me," Mao Izumi said in an interview. Osaka Grand Slam silver medallist Noel Van T End of The Netherlands was victorious in the -90kg category, finally winning a Grand Slam gold at his 21st attempt. 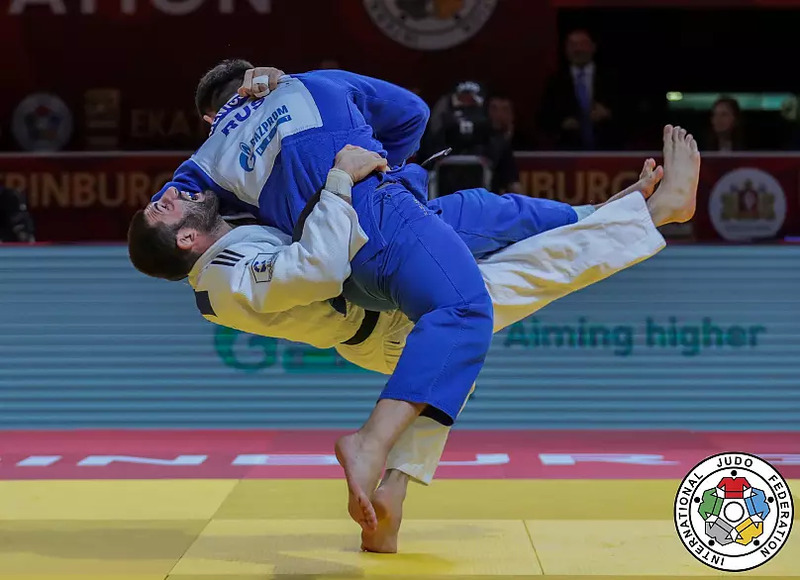 He caught Georgia’s double masters Champion Beka Gviniashvili in golden score - the Dutch judoka was absolutely thrilled to take his first Grand Slam title after five consecutive silvers. "In the semi-final I had Kukolj, he’s a very strong player. He knew what I wanted to do, I got 2 shidos, almost got a third one, but finally, it’s judo, and anything can happen and I scored in golden score. After that I had Beka. Actually, I think I’ve never lost to him. So I was happy I had him, he’s a very strong fighter, but it was also in golden score - it was tough, but great," Noel Van T End said in an interview. 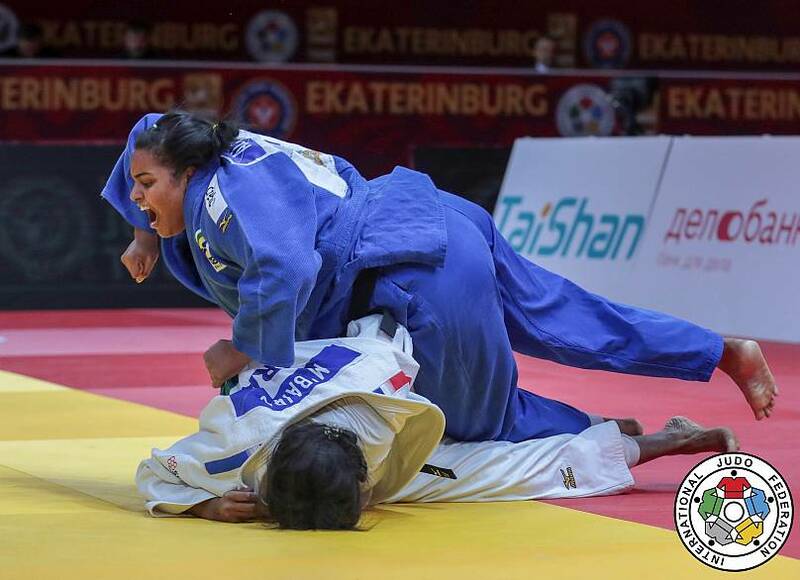 Two-time world silver medallist Maria Suelen Altheman of Brazil won her fifth Grand Slam gold medal with a determined display in the women’s heavyweight category. In the +78kg final, Altheman countered France’s Anne Fatoumata M Bairo for waza-ari awasete ippon in golden score. 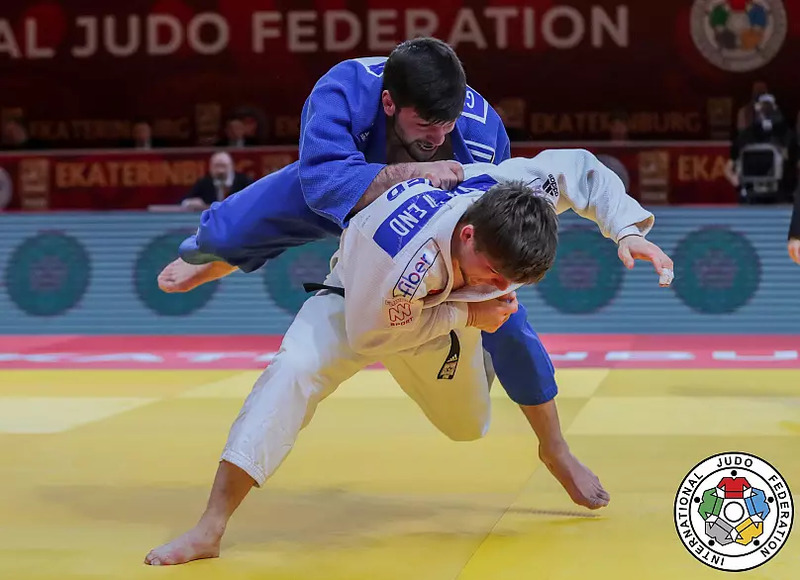 There was yet more gold for Russia, as the final heavyweight contest of the tournament was won by World Judo Masters bronze medallist Tamerlan Bashaev, who struck Grand Slam gold for the first time in his career. 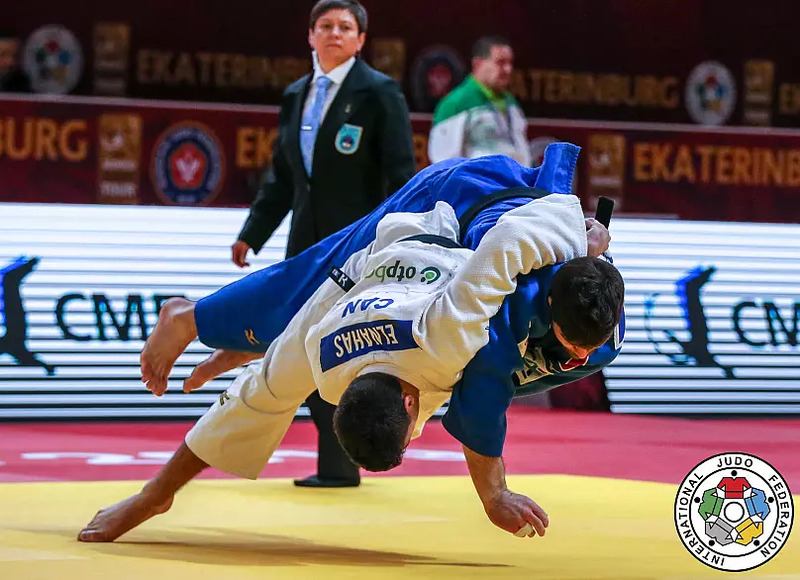 In the +100kg final, Bashaev dropped under Olympic Bronze Medalist Or Sasson of Israel in the dying seconds of the contest. This marked a third gold for Russia, putting them at the top spot of the medals table. Our Move of the Day came from Shady Elnahas, who took on veteran Cyrille Maret, who unlike Russia’s Adamian couldn’t counter the Canadian. As the Frenchman tried to step off, Elnahas stepped across, catching the leg, and rotating him onto his back for an enormous ippon. The move summed up a fantastic final day's judo. So, rounding off another memorable Grand Slam in Russia, it’s dasvidaniya from Ekaterinburg.